Where did I get it? Netgalley, thank you so much to Stripes Publishing for granting it to me. What's it about? 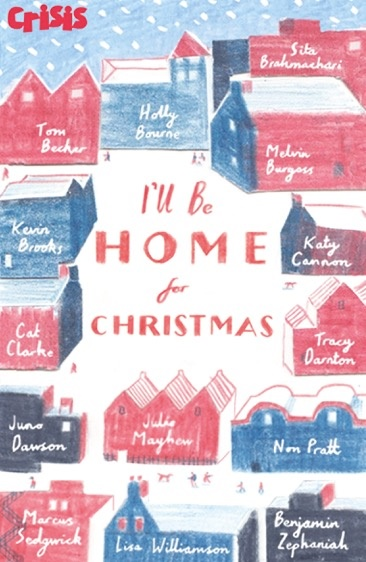 This anthology of short stories by some of YA's biggest names is being sold in aid of Crisis, who help homeless people. All the stories are about home in some way. Some are happy homes, some aren't. Some are nuclear families, some aren't. There were some I liked a lot, especially the last one by Lisa Williamson, and some I wasn't so keen on. I also felt there was some fatphobia in two of the stories which did unfortunately put me off those stories entirely. I felt like this was a really worthy anthology and would probably get some teens to think outside their circle and about people living different lives to them, and so I bought it for one of my Secret Santa recipients! I am happy to support the cause. What age range is it for? 13+, all the stories are tame, but the subject matter is sometimes hard going, whether it's homelessness or violence or whatever. Are any main characters LGBTQ+? Yes, a couple of stories had gay protagonists - and it's a reality that a lot of homeless youths are under the LGBT umbrella. Would I recommend the book? Yes, definitely. It's a quick read and perfect for a stocking stuffer. How many stars? Eight, due to the aforementioned stories that I didn't like.